The preliminary task of a Wedding Planner is to prepare an expenditure plan according to the budget of the client and get it approved from the client. Finding a right venue is also very easy for a Wedding Planner as he/she has a web of networks and maintains a comprehensive data base, and can immediately book a right venue for you. Flowers are the most important element of wedding decoration. A Wedding Planner uses his/her extensive networks and arranges the best and inexpensive flowerets for making decoration arrangements. A Wedding Planner discusses with the client about the variety of cuisines the client would like the guests to savor in the wedding. The Wedding Planner leverages his/her networks and makes proper culinary arrangements according to the directions given by the client. Quiet often guests have to reach from far off places and many times there is not enough space in home to accommodate the munificent guests. In such as situation a Wedding Planner comes to rescue and makes proper arrangements for guests' accommodations. Many dream of inviting their favorite star or singer to their wedding! 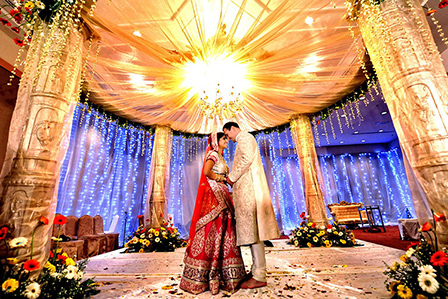 If your loved one who is soon to get married, too has one such dream, a Wedding Planner can make it possible. There are many other responsibilities that a Wedding Planner performs such as making transport, parking & entertainment arrangements, sending invitations to guests, and much more. Whether it is a beach wedding you want to organize or an ostentatious Punjabi wedding, you can consider to chuck the entire burden on a Wedding Planner. Awesome post, I recently found a life partner in www.matrimonialsindia.com also got engaged recently & I was trying to figure out how to organize my wedding & through your post got some network of wedding planners. Most of them are extremely creative & good at executions.